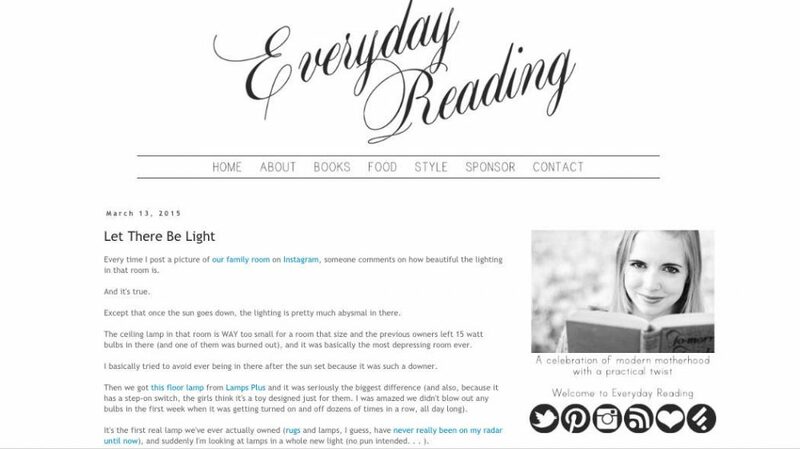 On October 31, 2006, I published my first blog post here on Everyday Reading. I basically cannot believe that was twelve years ago. I was 21 years old, working part-time as a nanny while I finished up my last three classes online so I could graduate from college, and we’d just bought our first house a few weeks earlier. I’d started reading blogs the summer before and Bart had spent the last 4 months convincing me I should start my own since I loved reading others so much. I still remember sitting in the huge green velvet rocking chair in our little office, finishing that first post, and pushing publish. If you’d told me what blogging would look like a dozen years later, I probably wouldn’t have believed you. 1. I’ve published 2,645 blog posts here since late 2006, which comes out to an average of 220 posts per year and an average of 4.2 posts per week. That doesn’t count the contributor posts I’ve done over the years for other sites like Disney Baby, Brightly and Conde Nast, which probably equals another 750 posts or so. 2. The very first post I ever wrote was this review of Baby Proof by Emily Giffin. Originally, I planned to only do book reviews here, but within a few months, I wanted to write about other things too. 3. I’ve never taken a blog break. 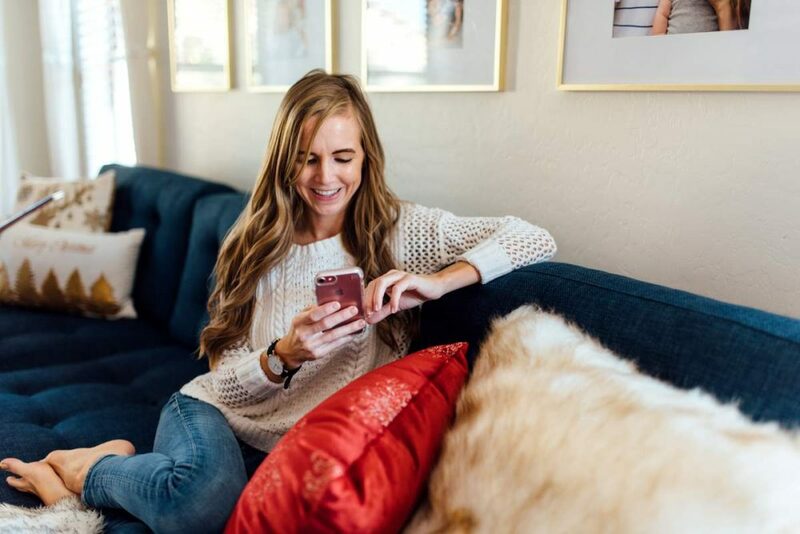 I always say that I really love blogging and one indication of this is that despite four pregnancies and new babies, plus eight cross-country moves, I’ve never gone for more than about a week without posting something here. I still love blogging and feel so lucky every day that it’s how I get to make a living. 4. The most popular post – by a landslide – on my entire site is this banana muffin recipe. It has more than three times as many views as any other post on Everyday Reading. I still remember making those in our little kitchen in London (it was a recipe I’d made dozens of times but never posted) and thinking, “I should snap a photo and put this on my blog.” The second most popular post is this review of Blue Apron, and third is this post about 10 ways to use up leftover buttermilk. 5. My favorite part of blogging is storytelling. I grew up in a storytelling family (a fact I didn’t notice until Bart and I started dating and he pointed out that he’d never met a family that loved to share stories as much as mine does), and I love relaying a good story. One reason I love sponsored posts is that it’s really a fun puzzle for me to talk about a product or service in a way that feels interesting and authentic, not just a “This is a new product. Go buy it” kind of way. Even if you have zero interest in the brand I’m partnering with, I hope you’ll still find the post entertaining and fun to read. 6. There are 35,252 published comments on Everyday Reading. Blog commenting has dropped significantly with the introduction of Instagram and other social media platforms, but I still read and appreciate every single comment and try my hardest to answer any questions or respond to feedback there! 8. No one is more surprised than me to find out I have an entrepreneurial streak. When Bart and I got married, he was hugely entrepreneurial and I was zero percent. Starting my own business sounded like the least appealing thing in the world and I valued security above basically everything else when it came to careers. A decade later, I can’t imagine working for someone else – I love the flexibility, the creativity, and the ability to pivot and experiment. When people ask if I think I’ll go back to being a librarian when my children are all in school, the answer is an unequivocal “no.” (I wrote more about how being a librarian is no longer my dream job in this post a few years ago). 9. I have had at least ten different site designs over the years. In the beginning I did them myself or with the help of Kayla and later on, I bought templates, and now my current one is based on a template and then customized by a designer. 10. Back in 2012, I tried to buy the domain everydayreading.com. I was switching from everydayreading.blogspot.com and the person who owned it was willing to sell. For $50,000. Needless to say, I passed. 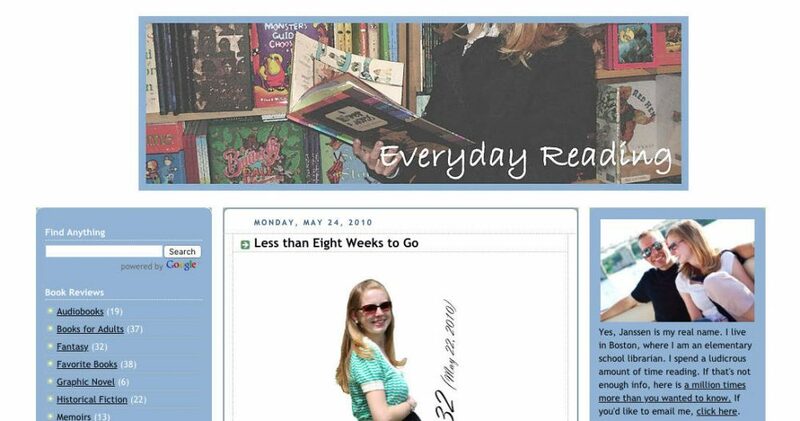 Using everyday-reading.com has been just fine. 11. I love that blogging is always changing. I hear some bloggers complain about things changing, but for me, that’s what keeps it fun. I love the freedom to experiment, to try new things and get quick feedback. A dozen years ago, I almost never posted photos (and when I did, they were approximately the size of a postage stamp) I couldn’t have kept Everyday Reading up for the past twelve years if it wasn’t always interesting and engaging. I love figuring out how to use new platforms like Instagram or Facebook Live or try out new kinds of posts like fashion or recipes. That doesn’t mean it doesn’t sometimes get very frustrating, but it’s definitely never boring. 12. My biggest goal with Everyday Reading is to be useful. Whether that’s recommending a great book, talking about my favorite $18 swimsuit, talking about how to navigate the wild world of thredUP, or laying out the nitty-gritty details about how we do quiet time, I always want Everyday Reading to be useful and interesting. I know better than anyone that not every post succeeds, but it’s always my goal, and nothing means more to me than emails or comments or messages from you guys telling me what’s been helpful or how you’ve used the information I share here. I don’t know what Everyday Reading will look like in another twelve years, but for now, I love pretty much everything about blogging. Whether you’re new here or been here since the very beginning, thank you so much for making Everyday Reading such a wonderful adventure. I couldn’t ask for a better way to spend my days. I’ll be celebrating tonight with a bunch of Reese’s peanut butter cups and Almond Joys stolen from my children. You and your sister Merrick are my two fav bloggers and I read every post (even the children’s book ones and I have no small children!). I haven’t been here since the start, but maybe 2010? Love following your adventures from afar (Australia) and glad you have never taken a break. I love seeing your name pop up in the comments – thanks so much for being such a loyal reader. I appreciate it SO much. I’ve been reading your blog since almost the very beginning—I think I found it in 2007. I know I was still at BYU because I remember reading a post on the computer in the organ lab (how random is that?!). Also, I love the storytelling element to your sponsored posts. They are always so entertaining and interesting. It is one of your big strengths as a blogger. Happy 12 years! That is so fantastic! I’m so happy YOU blog now – I basically never miss a post! Congrats! You are really good at spinning a tale! That is one of the things I love about your blog. Thanks for all of the inspiration, even though I am about twice your age, I learn a lot from you and share your ideas with my daughters. Keep up the good work! Oh, you are so kind! Thanks for sharing it with your girls! I usually breeze past other blog’s sponsored posts because they’re just so… sponsored. But your sponsored posts are genuinely engaging and I love your humble humor. Keep it up! This is truly the nicest comment – thank you so much. Congratulations and happy anniversary! As a long-time reader, it’s been fun to see your blog — and your family — grow and change. Here’s to many more years of blogging! I’m so glad you’ve stuck around! I’ve commented this before, but it’s so refreshing that your sponsored posts have actual content! I think that’s your greatest strength as a blogger. And you’re definitely meeting your goal, I collect great ideas and tips from what you share….on a wide variety of topics! I’m glad you’re still going strong as a blogger. This is so kind of you to say. I really really appreciate it. I found you back when you were doing some thrift store restyles and have followed ever since. I love your sincerity, voice, and the way your sponsored posts never, ever feel like “This is a new product. Go buy it”. I’ve looked for other blogs to read that I enjoy reading just for the sake of reading and haven’t found one yet. Thanks! Well, you’re making my whole day right here. Thank you! It was so fun to see all your old templates again—it brought me way back to when I first found you! I’ve definitely been hugely inspired by your work, both in the books it’s made me pick up (many, MANY books over the years) and the parenting tips I’ve gleaned from you (thanks to you, I’m trying to transition us from naptime to quiet time now, even though it’s proving a bit challenging!). Thanks for producing content that is so worthwhile. It was SO funny to see those again – I had completely forgotten about basically all of them. I wish I had the wherewithal and know how to buy domain names and then sell them for appalling amounts of money. I’d apparently be a rich woman. At $50,000 I’d be set if I sold one a year. Now we all know what business we should have gone into! I’ve been reading for a long time. I *think* I found you through Mel’s Kitchen Cafe. I think you’re an excellent writer 🙂 I have to admit, though, I am surprised that the Chocolate Chip Cookie recipe isn’t #1 on this site. I make it regularly, share the recipe with friends, and try to always have a few frozen balls ready to pop into the oven for an “emergency” (read: Tuesday night). The weird thing about blogging, I think, is that we know so many things about you and you know very little about us. So I feel like we’re practically friends and you’re like, “who are you again?” 😀 Keep it up! I’d pick chocolate chip cookies over banana muffins every day too, but apparently the Google/Pinterest powers-that-be don’t agree! Congratulations on a dozen years! I just yesterday ordered the Boston Jane series after seeing your review of them. The bookmobile that serves our very rural area–with no library closer than 75 miles away–never has things like that to request, but they seemed so much like something I (and my children) would enjoy that I actually BOUGHT them. On Thriftbooks for a few bucks each, but still. Congrats! 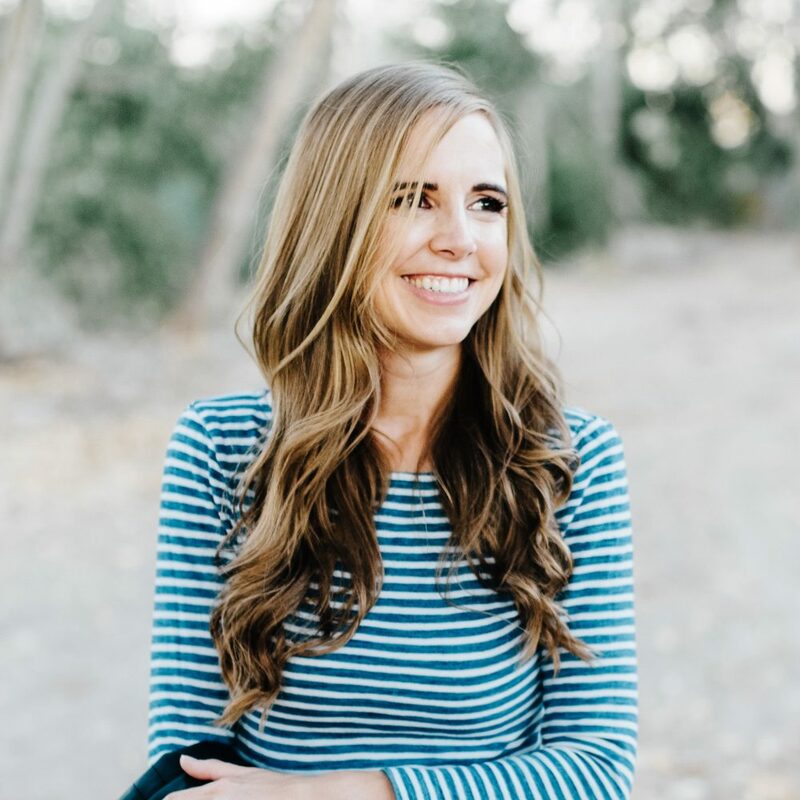 I’ve been reading since 2007 (I think), and your blog is my favorite! I think some candy is a perfect way to celebrate. 🙂 Cheers!! Wow, congrats! Thank you for all the work you’ve put into this blog! I’ve been a reader since only 2014-ish, but you’ve become one of my go-to places for recipes because you make them personal and give a context to how you’ve used them yourself!! Oh, this is so nice! Thanks for sticking around! #5!! Your sponsored posts and hilarious with your ability to weave it in. Every so often, I consider some random product and guess at how you’d run with it…. This is the best comment ever. I actually laughed out loud at this one. I’m a long time reader too (since I lived overseas without kids in the late 2000s…both of our lives have changed a lot since then!) and also loved seeing all those old blog formats! How fun! Congratulations on your blog anniversary. I know I’ve said it before but I appreciate all of the book reviews and random parenting, recipe and product tips over the years! This is hilarious! I actually just pulled your banana nut muffins out of the oven literally five minutes ago because we had some bananas that went too far when we were out of town last weekend – only I dyed them orange because Halloween ha ha. I’m a first-time commenter but a long-time follower of your blog. ( I think we have some mutual friends from BYU and one of them recommended it way back in the Google Reader days!) I just had my 1st baby in July and I’m so excited to implement SO many of your excellent parental tips and tricks. Happy Blogiversary! This is so good! (How’d they taste orange??). Thanks so much for sticking around all these years! I’ve been reading your blog since, oh, 2009 I think? I don’t comment very often (this might be my first post on your blog? ), but I have so enjoyed following your family’s adventures over the years! oh, that’s so fun! Thank you for reading all these years! I normally don’t comment but wanted to say that i really enjoy your blog and the snippets i see from your family life. I follow your sisters too and really enjoy all your content and tricks and tipps. Oh, thank you so much! And I love when people follow all three of us! I just had to comment because I am always so impressed with your sponsored posts. They make complete sense and I love the stories that go with them. I often find myself wondering who pitched the idea because it’s that seamless! I also remember knowing I was going to be a regular follow when I read an old post about you being more morally opposed to a bad chocolate chip cookie than to the use of shortening in cookies. ? HA! I still feel that way about shortening. Congrats Jansenn on 12 years! I first found your blog at Mom 2.0, we both attended but I had seen a story you posted and immediately got hooked on your Instagram stories. I read What Alice Forgot because of you and currently have Ignore It on my to read table at home. Absolutely love your blog and stories. So fun! Are you going again this next year? I’m also only a sometimes commenter.. can’t honestly remember how I found your blog but have been reading since soon after Ani was born I believe. 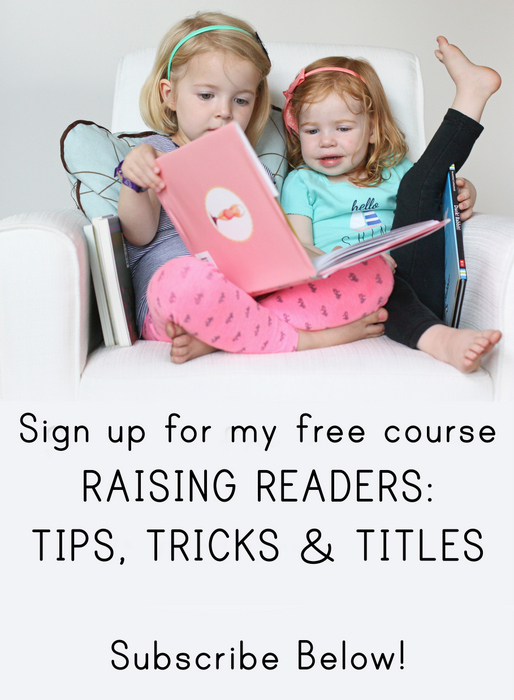 Go to for book recommendations, have made and loved several recipes and love seeing a glimpse of raising girls as I have 4 boys (and 1 little princess). Thanks so much for keeping it going all these years- I really love reading blogs and think they are a great way to expand our horizons and learn from others. That sounds like such a fun family! Thanks for reading along all these years. I appreciate it so much! Thank YOU! And that coconut syrup is THE best. I love your blog and have for at least 3 years now. I don’t even remember how I found you, but I’m SO glad I did. I love your book recommendations, the stories about your family and learning, and I am an avid consumer of your Instagram. Congratulations on 12 years! Ah, you are the nicest! Thanks for this nice note. I already commented on Instagram but after reading the comments here I have to say I agree with everyone. I started reading to build up ideas on books I’d want for my future children and I stuck around because you are a great writer. I was reading you long before I was married and now I have three kids I can actually buy those children’s books for. I talked about your posts so much when I first got married my husband started teasing me by referring to you as my “best friend,” ??. This is seriously the best because I feel EXACTLY the same way about the blogs I read religiously! I think I’ve been reading your blog for about 3 years? You introduced me to ThredUp AND Elephant & Piggie so definitely VERY helpful!! I don’t know how I found you but so glad I did! Oh, it doesn’t get better than Elephant & Piggie! (Or thredUP ;)). I’ve been reading for more years than I can count, and you are my favorite blogger for so many reasons! Your love of reading, how much work you put into making sure your girls are good readers (something I especially appreciate now that I have a girl of my own), your fashion sense, your love of ice cream, your authenticity, your amazing recipes (we have been making your chicken stew non stop lately and got my parents hooked on it too), and what a balanced approach you seem to have in terms of enjoying life and being thrifty. I’ve been meaning to email you because I’m hoping you’ll share the recipe you use to make your small cake? My daughter turns one next month and I thought the small cake you use for your kids would be just perfect for her bday. Oh, this is so nice of you! Seriously, you’ve made my whole morning. As far as cakes, I’ve done all different recipes! I usually just choose something from Mel’s Kitchen Cafe or Smitten Kitchen! I’ve been reading for a long time too, and comment occasionally. You have changed my life quite a bit. I’ve tried many things that we’ve loved thanks to your recommendations (Blue Apron, Sweet Peas Meals, Thred Up, etc), but the biggest thing has been your love of books and how to weave that into parenting. I read the Read Aloud Family (and joined the Read Aloud Revival group) after you recommended them, and we’ve become voracious readers. I grew up in a country where books are not very accessible (you need to buy what you intend to read, and they are expensive), and as a child, I did not have access to many books. I am thoroughly enjoying picture books with my kids and chapter books that I never read before, and it’s become my strength as a parent. I so thank you for that. I also know that whatever you recommend will be simple, reasonable price- and time-wise, and make a big impact. Thank you for all the work you put into this. This is truly the nicest comment. THANK YOU so much.